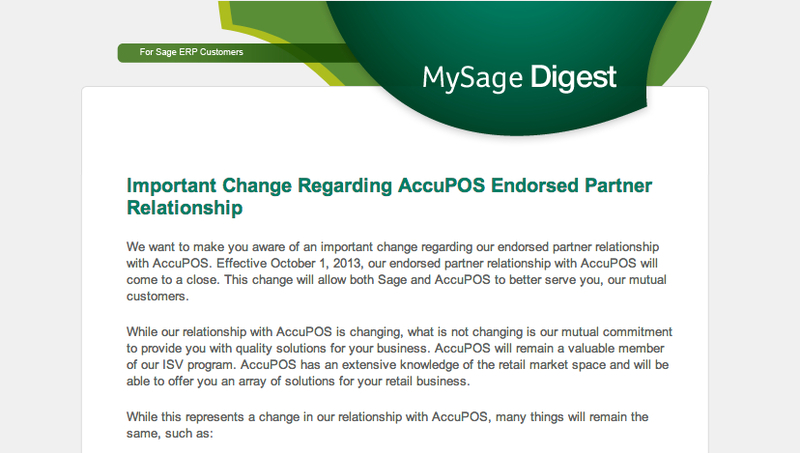 Sage have announced that the Endorsed Partner agreement with Point-of-Sale provider AccuPOS will wind down as of October 1, 2013. What this means is that in the future should you need to renew maintenance or purchase AccuPOS (either new or add-on software) that you’ll work directly with AccuPOS instead of ordering through Sage. 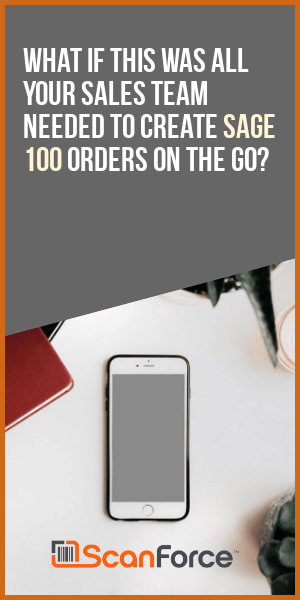 Allow me first to affirm that AccuPOS remains 100% committed to offering industry-leading Point of Sale integration for both new and prior versions of Sage 100 ERP, as well as with Sage Payment Solutions (SPS). The decision to terminate our official Sage Endorsement was motivated mainly by lowering the price. Many of you communicated to me privately over the past couple of years that the prices set by Sage for AccuPOS were cost-prohibitive to your clients. I firmly believe this change, which will allow AccuPOS to offer the same, web-advertised pricing to all users and prospects regardless of accounting integration, will benefit all of our collective businesses in the long run. There will be some fallout. Sage cannot process new AccuPOS orders after October 1, meaning prices will indeed decrease but at the expense of your Sage tier credit and margins. I will be emailing every one of you with whom I have had direct contact during the next few days. Additionally I will monitor this LinkedIn Group to respond to any questions that are posted here. I do hope that passing on lower prices to your clients will be viewed positively, but I also welcome any direct feedback at 800-906-5010 x122. A full copy of the announcement is available here.